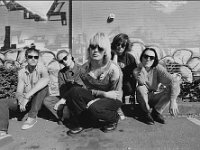 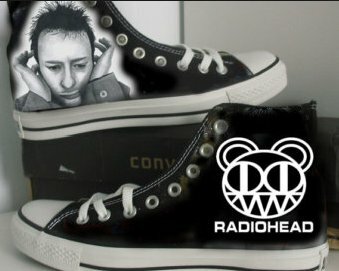 Photo gallery of members of Radiohead wearing chucks and tribute chucks for the band. 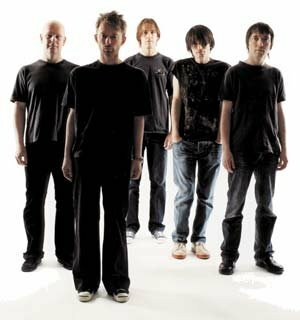 1 RadioHead Radiohead band members stand together in a posed photo. 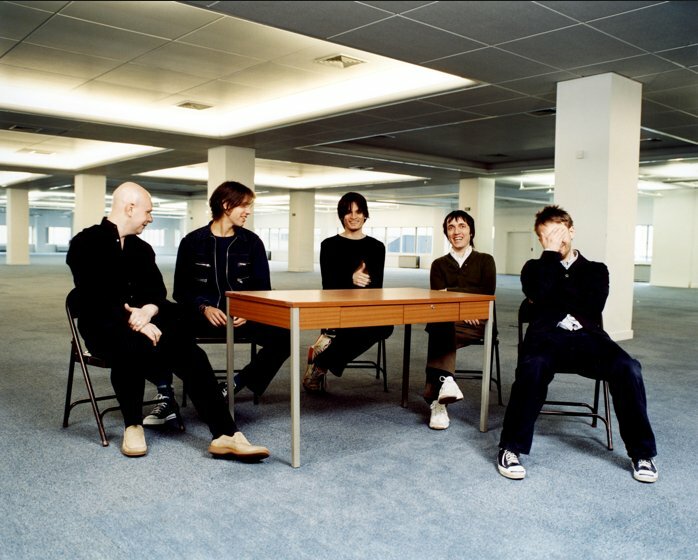 2 Radiohead Posed shot of Radiohead seated at a table. 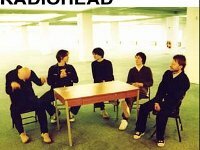 3 Radiohead Poster of the band made from a similar photo. 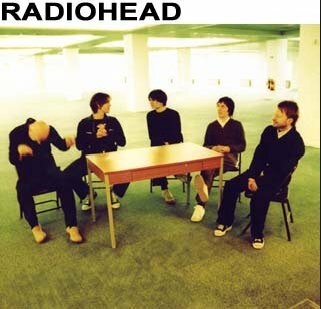 4 Radiohead Radiohead band members seated outside. 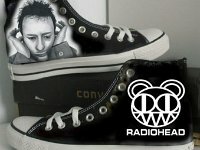 5 Radiohead Pair of black high top chucks with drawn on graphics of Radiohead. 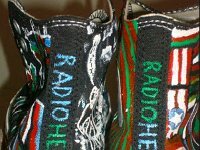 6 Radiohead Another pair of black high tops with original graphics. 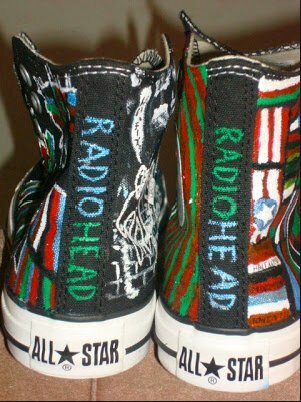 7 Radiohead Rear view of a custom painted pair of black high tops. 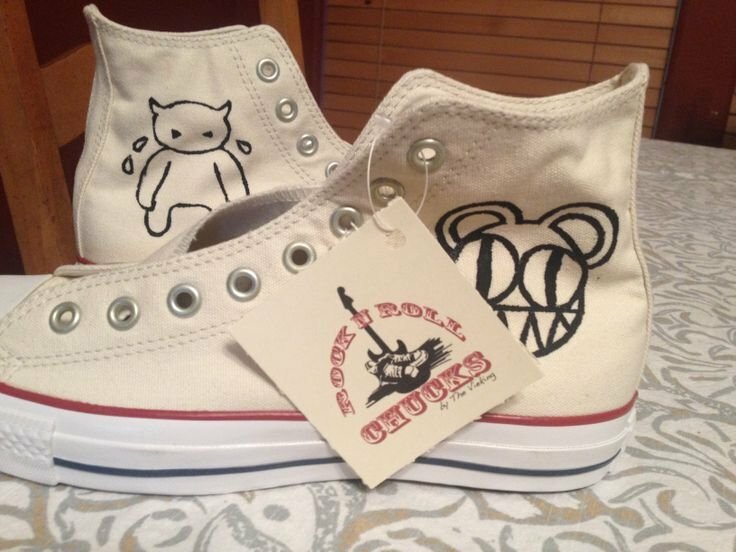 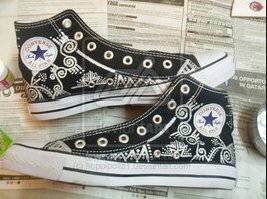 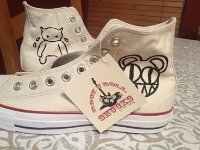 8 Radiohead Natural white high top chucks with Radiohead artwork. 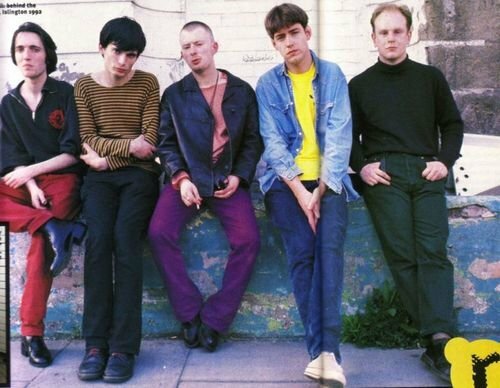 9 Radiohead Casual shot of Radiohead seated outside. 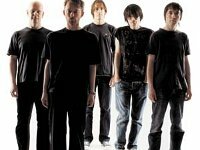 Radiohead are an English rock band from Abingdon, Oxfordshire, formed in 1985. 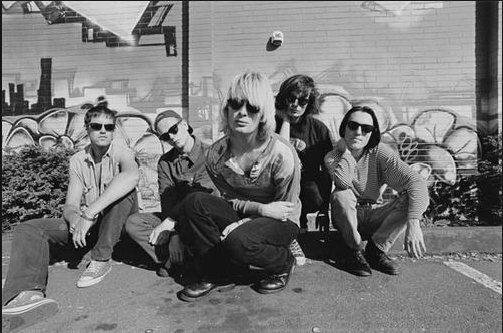 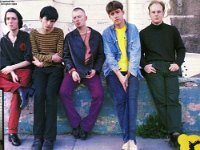 The band consists of Thom Yorke (lead vocals, guitar, piano), Jonny Greenwood (lead guitar, keyboards, other instruments), Colin Greenwood (bass), Phil Selway (drums, percussion), and Ed O'Brien (guitar, backup vocals).